When I say “centers”, I mean it; Best is in all but about 15 seconds of the 105-minute film. Costard and his team shot a full match against Coventry City with six cameras focused entirely on Best, who was more or less the most famous footballer/boozer/Casanova at the time. (If this sounds familiar, it’s because Douglas Gordon and Philippe Pareno made a simliar film in 2006 entitled Zidane: un portrait du 21e siècle). FWNN is more than just a sports film, though; it is a meditation on motion, celebrity, entertainment, vision, and banality. The opening sequence introduces both the subject and the method of the film. The camera focuses on the center flag and blank grass, and then Best runs out, and the camera immediately zooms back and follows him as he runs towards the goal to take warmups. The entire film is shot with telephoto zoom lenses, for obvious reasons, and much of the photography will pull slowly back and then zoom in to medium close-ups of different parts of Best. In this opening sequence, his boots, his legs, and his face all feature in shots of varying lengths. The telephoto’s focal length renders all that is not Best fuzzy and indeterminate, illustrating quite vividly the experience of fixating on the man, the celebrity, the player. After these warmups, Best takes up his position out on the wing, and the film’s focus on him begins in earnest. 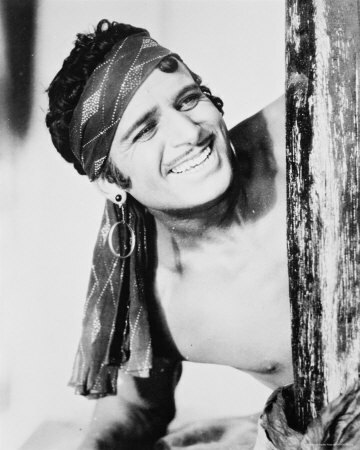 Throughout the film, his role as winger will play out as one would expect; long periods of inaction followed by sudden bursts of pace, a received pass, and a cross or shot. During the periods of idleness, the camera will dwell on Best’s face, his legs, his feet as he walks across the pitch. Long shots cut to medium close-ups with seemingly little motivation other than curiosity. Moments when Best does get the ball often occur while the camera focuses on the upper part of his body, thus confounding the viewer’s expectation to see Best’s main strengths on the pitch. The editing, indeed, often turns away any opportunity to have a sense of the ball, staying almost entirely with Best’s face. 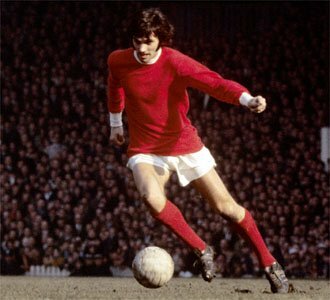 This continuous focus on the man, and not the play, underscores Hellmuth’s interest in the phenomenon of George Best as a celebrity. By 1970, Best had established his reputation as a high-flying partier, a lover of wine, women, rock n’ roll, and being handsome. As he races up the field, Hellmuth shies away from the football (with some exceptions) and focuses instead on Best’s raven locks flying behind his head, on his thighs, on his rear end. Inasmuch as the camera posits a spectator, it seems to mimic the viewing patterns of a besotted teenage girl, rather than a football fan (to whatever degree those can be considered separate people). If this insistence on fame and persona wasn’t clear enough, halftime hammers it home. Rather than try to follow Best into the locker room, the film cuts instead to a staged halftime presentation of Best in the tunnels of Old Trafford, coming to a halt with a close-up of him in the boot room. He looks straight into the camera and smiles for a few minutes. This close-up comes with no talking or ambient sound; only some light music plays on the soundtrack. This is silent movie stuff: even though there is no title card that reads “Our Hero (Douglas Fairbanks)”, the intent is clear. George Best is the star, the hero of the picture, the focus on his face, his eyes in close-up. This insistence on the face is such that when he does manage to score the game’s opener, the brilliance of his movements nearly drops out of frame, the reception of the pass and the subsequent destruction of the goalkeeper more implied and felt than shown. The sound in the film is really nothing more than an afterthought, an ambience, crowd noise and chants. There are, however, five or six moments when, without any cue whatsoever, a bit of electric jazz, or a blatant Dylan ripoff, will begin playing. The counterpoint between the languid jazz and the movements of Best is quite amusing, often causing the audience to laugh. Some of the 2010 audience’s reactions of laughter probably were not intended, particularly those reactions to the music. But FWNN does play up a lot of the absurdity of the individual in team sports. Seeing Best’s boredom as he trudges around the pitch waiting for service becomes, after a while, pretty funny. Watching his reactions as shots go wide, as passes are misplayed, as his first touch lets him down, reveals the deeper truth about the status of the individual in team sports, the way the team concept renders the individual’s concerns superfluous, peripheral, absurd, comic. By shifting the focus from the match and the team to the individual, the film brings to light the strange role of the brilliant flair individual, which is to remain anonymous until a moment of genius renders all the others the same way and elevates the individual the level of a god. Excellent post. I have only seen the 10 minute excerpt on youtube (it’s on my blog) but always wondered what the full version would be like. Couldn’t tell if you have much of an affinity for Best but he was a brilliant footballer. I saw him play with the LA Aztecs once and, even as a kid, he made a huge impression on me. Incidentally, I share your interest in “Le Mans” and own the dvd. I used to collect movie newspaper ads when I was a kid and remember that one quite well: “Steve McQueen takes you on a drive through the country. The country is France. The drive is at 200 mph.” Funny, the things one remembers. Best and McQueen. Don’t know if they ever met but my guess is they would have had a lot to talk about. Thanks. on March 20, 2010 at 4:14 am | Reply Beziehung mit einer Frau » Blog Archive » Kommt die Frage nach einem Date besser übers Internet oder übers Handy bei einem Mädchen an ?